Be an individual of at least eighteen (18) years of age. Be knowledgeable or familiar with the community, culture and language of the UCCM police service area. Not be an employee or an Immediate Family Member of an employee of the UCCM Anishnaabe Police Service or the Commission. Not have a criminal record of conviction for any indictable offence, or any summary conviction offence which, in the discretion of the UCCM Board of Directors, and in all of the circumstances of the conviction, is inconsistent with the proper fulfilment of the role of Enaag-dawaab-jig and the reputation of Enaag-dawaab-jig. Not be a judge, justice of the peace, peace officer, elected member of Council of a Member First Nation, or a lawyer or paralegal who practices in the area of criminal law. Be of good moral character and a respected resident of their community. 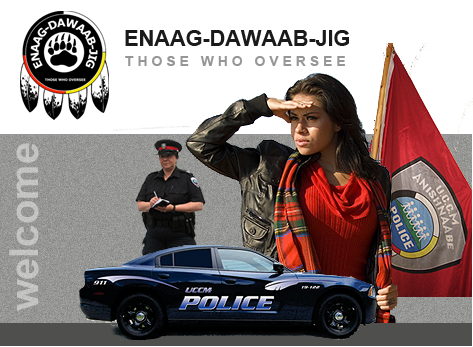 Be actively engaged in a Member First Nation; and, have a general knowledge of policing issues.